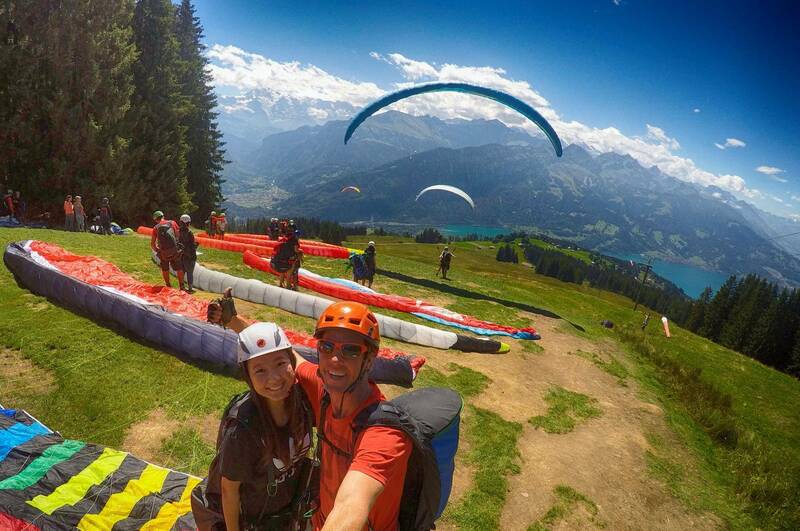 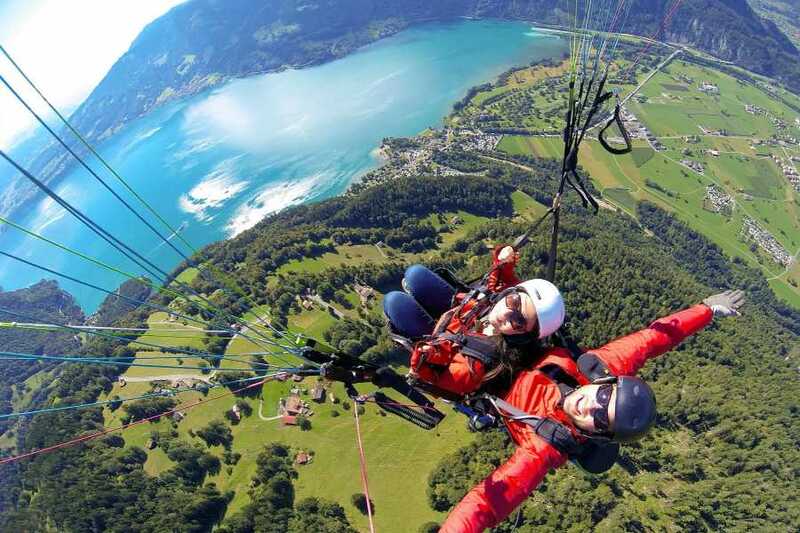 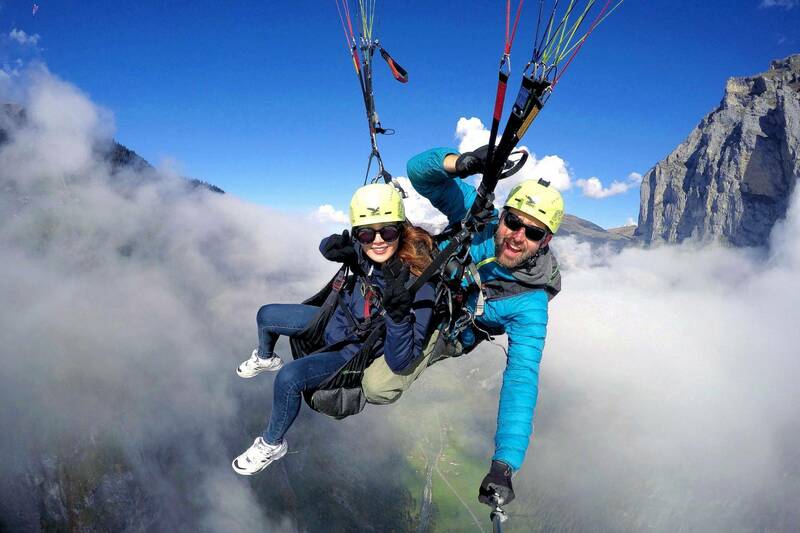 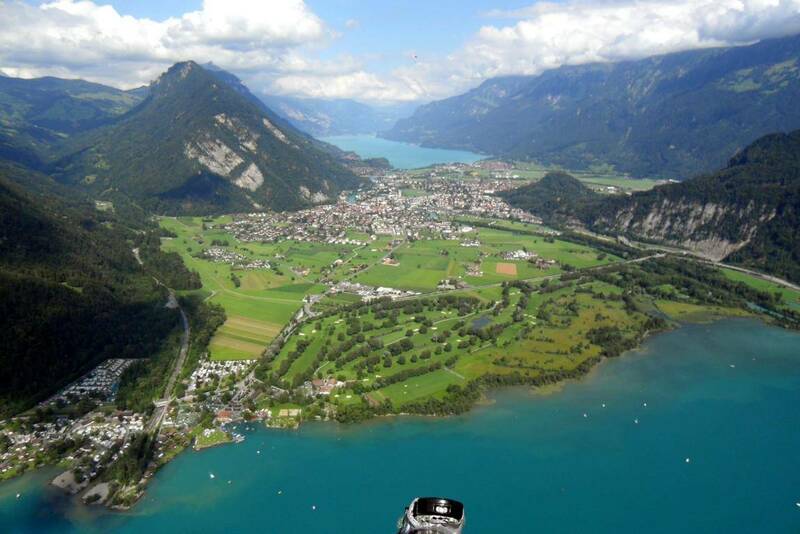 The best way to see Interlaken is from 800 meters (2,624 feet) above it! Imagine flying like a bird over Switzerland's glorious Jungfrau Region with glistening emerald lakes below, verdant hillsides all around and a backdrop of the awe-inspiring Eiger, Mönch and Jungfrau Mountains. 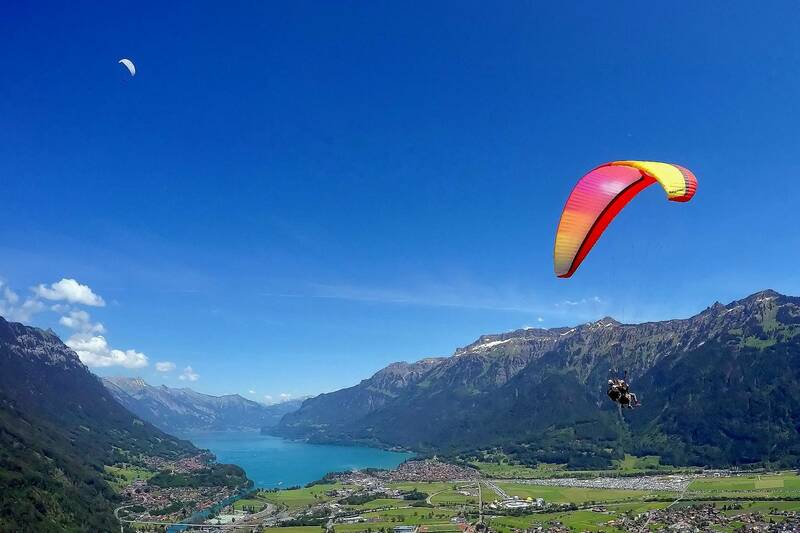 Taking off from the charming town of Beatenberg, you and your pilot will enjoy a 12-20 minute flight before landing in the center of Interlaken, on the beautiful Höhematte. 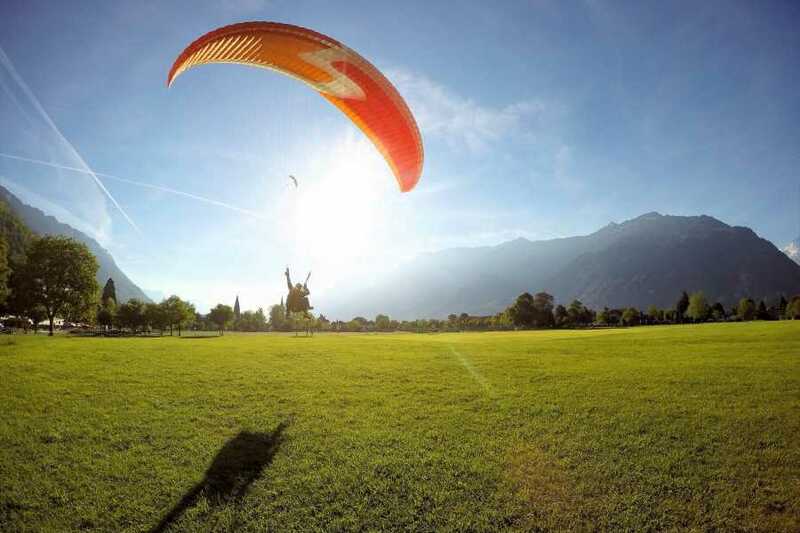 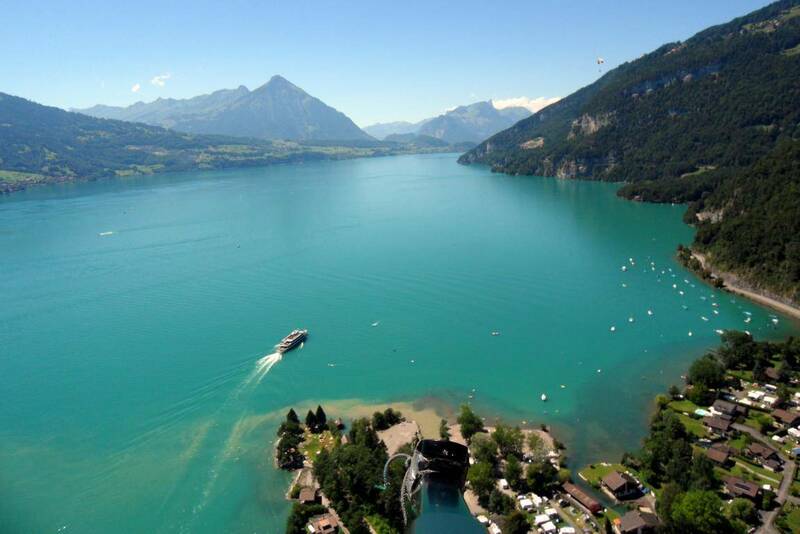 The Top Flight is our most popular flight and absolutely should not be missed when in Interlaken. In about 20 minutes we drive in our van from Interlaken to Beatenberg-Amisbühl, have a short walk and arrive at the takeoff area with its amazing view on Eiger Mönch and Jungfrau.